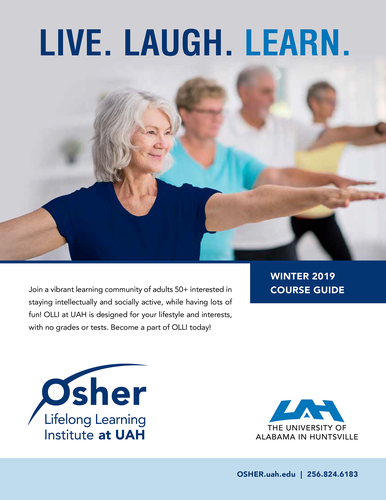 The winter term for Osher Lifelong Learning Institute at UAH, a learning community for Adults 50+ interested in staying intellectually and socially active while having lots of fun, starts January 28. Select from daytime and evening courses, with no grades or tests. Annual membership $25 and a $99 course fee covers up to three courses.